This beautiful home has been wonderfully maintained and has had several recent updates to include fresh paint, new flooring in the den, a new gas cook top for the kitchen, a glass screen door in the kitchen leading to the back yard, new blinds in the bedroom and sewing room/bedroom. In the summer 2017 a redesign Lennox HVAC system was installed, the ducts cleaned, and energy efficiency updates installed in the attic. The thermostat system was updated to provide electronic zone control of the 3 zones. In May 2018 a reflective insulation blanket was installed and two attic ventilation fans that run on ambient light were installed to extend the lifetime of the roof shingles. August 2019 the dining room and window over the sink were replaced with low energy windows . The home also has a great central vacuum installed as well. The home has a security system and camera that was previously monitored by CPI but not active currently. It will remain with the home. 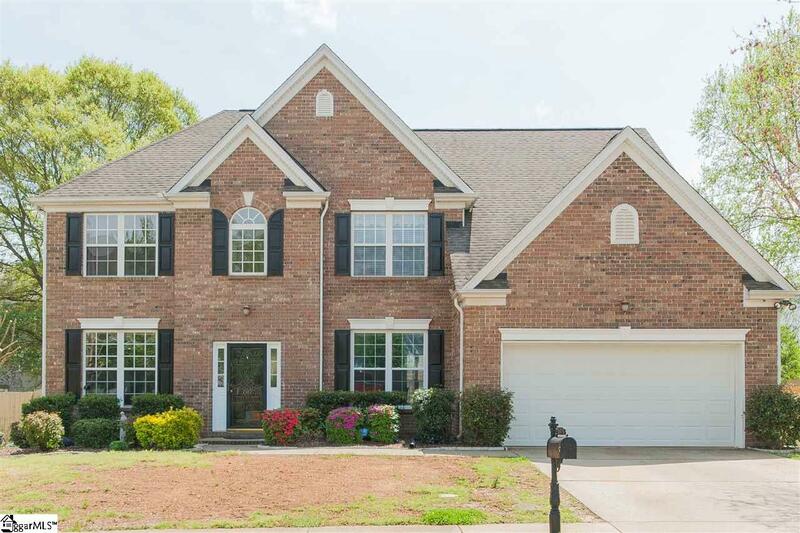 This is a must-see home with beautiful flooring throughout and a great floor plan that includes 5 bedrooms and 3 bedrooms located in Gilder Creek Farm conveniently located to shopping and restaurants on Woodruff Rd. 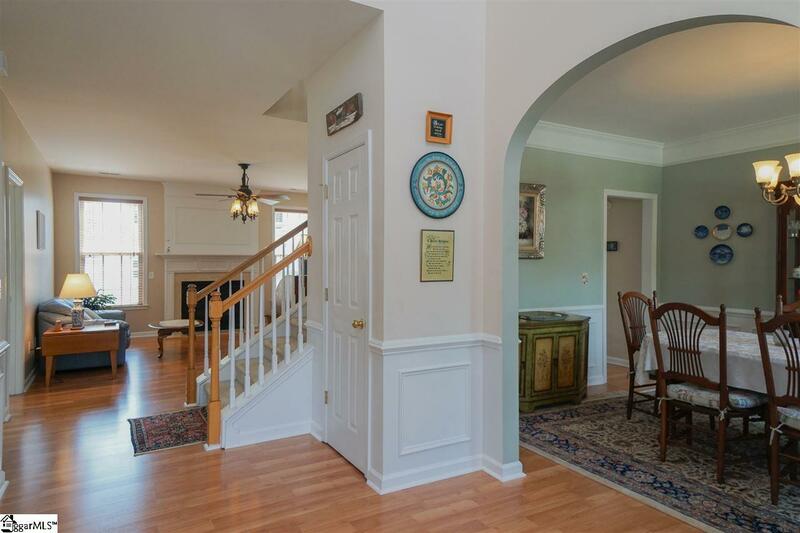 When you walk through the front door you are met with a beautiful 2 story foyer and beautiful flooring. 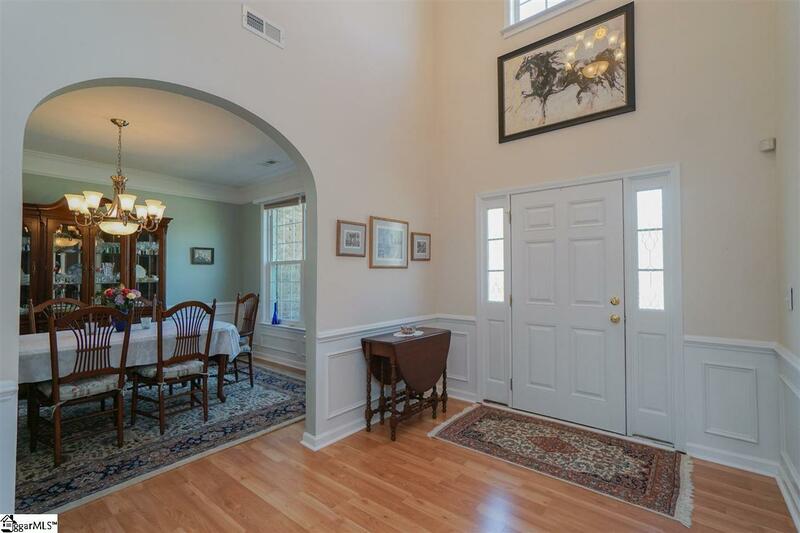 The office or den is on the left and the formal dining room is on your right. The Great Room has a beautiful white mantle fireplace with gas logs. There is a guest bedroom on the first floor with a full bathroom accessed from the hall. The beautiful kitchen has plenty of room for informal dining and makes it super easy for entertaining with access to the patio and fenced in back yard. Access the garage and laundry area right from the kitchen as well. Upstairs you will find the master suite with a large bedroom with another fireplace and sitting area, a big bathroom with double sinks, garden tub and shower and separate toilet room and large walk in closet. There are 3 other bedrooms including one that has an additional over the garage storage space. The 3 additional bedrooms share the full bathroom at the end of the hall. This is a beautiful home schedule your showing today so you can appreciate all of the details! This is a must see at a great price!